Let me be blunt — nope, it was not. It’s actually designed to trap you so you would spend more of your hard earned cash! According to behavioral experts, grocery stores today are designed to give you an experience that’s no different from entering a casino. The store wants you to stay longer and spend more. There are many reasons for this observation but we will delve into those later. 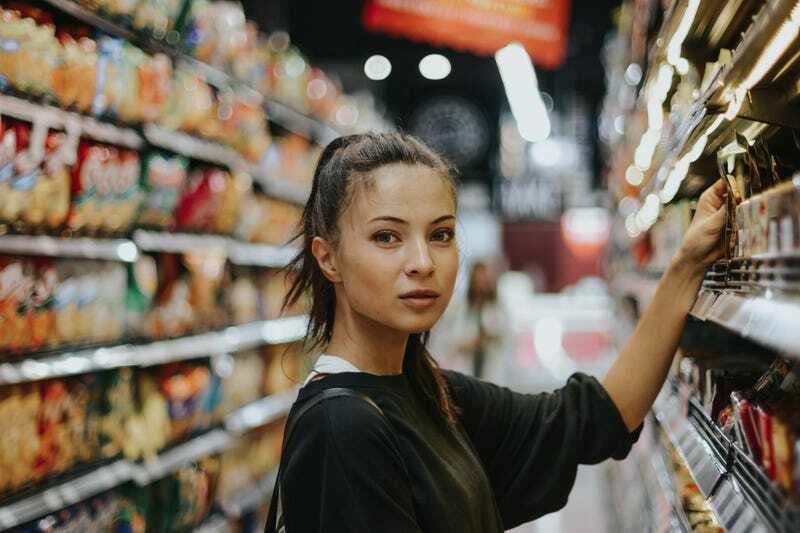 Meantime, you have to be aware of this: casinos and grocery stores are maximizing their increased knowledge of consumer psychology, applying principles gleaned from the most recent research to keep us — the consumers — shopping, playing, and feeling good longer in their store. In some of the latest studies, US researchers have discovered some obvious similarities between the layout of casinos and grocery stores. One of the newest reports from the casino industry site, Casino.org, claims that supermarkets of today are designed to function like a casino. Yeah... it’s kinda eerie. If you’re observant like me, you may have spotted a common trend in grocery stores today: flowers, fruits, and veggies greet you as you enter; milk way at the back, and sweet things (candies, chocolates, processed desserts) at the checkout counter. All are a part of the grand design to push you to stay longer and buy more stuff you didn’t even plan to buy in the first place. Although it might appear that you have free will in roaming wherever you fancy, smart store and casino design make it nearly a hundred percent predictable where, you, the shoppers and gamblers will go first. Just look at the floor plan below and you’ll see similarities between grocery stores and casinos. Supermarkets are encouraged to steer customers in a counterclockwise direction. Why? A current research shows that items towards our left view catch our attention more than those that are on our right. Based on that premise, it’s wise for these establishments to pull shoppers in this direction and make sure they keep looking to their left so they keep going back to the store’s interior. Add to this, planners situate catchy items — like the fresh produce department or an eye-popping display — to the right of the entrance. Ever wonder why you often find yourself tapping your toe as you go around the aisles? Store think tanks select music ever so carefully to encourage you to continue shopping. Management pays huge sums of money for music licensing fees to organizations like ASCAP, and lots of them also enroll services like SiriusXM Music for Business. Services like this pipes in tailored playlists that are carefully picked to keep customers in a good mood. In lieu of sunlight or the time, management ensures that at the frontage of most supermarkets all the senses are bombarded with the smells, sights, and sounds of the most stimulating sections: floral, bakery, and produce. So next time you are in your local supermarket and you say to yourself, “Wow... those apples look so delectable they make me want to take a bite on one of them now — I might as well buy some!” Be aware... it’s all part of the store’s plan. Whatever you do, make sure you remember that you entered into an environment that’s designed to make you spend more money.